This guideline is intended to address issues more specific to tobacco analysis and may provide some minimum criteria for successful method implementation and also information on tobacco-specific aspects that should be considered. It is similarly structured to the European Union document SANTE/11813/2017 that sets out best practices for the general quality control procedures for pesticide residue analysis in foodstuffs. The document may be particularly relevant in giving guidance not only to laboratories that are newly introducing multi-residue methods in tobacco samples but also to laboratories that need improvements in their performance. Although this Technical Guideline has been written to support the development and routine use of multi-residue methods, a number of targeted or single residue methods continue to be utilised and this document applies equally to them. 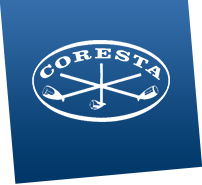 The CORESTA Guide No. 5 provides a framework for the creation of high quality analytical methods for agrochemical residue testing. However, many residues require additional consideration to ensure satisfactory analysis. To address this issue the Sub-Group on Agrochemicals Analysis has produced technical notes for some compounds for which Guidance Residue Levels (GRLs) have been set and whose analysis had proved problematic in proficiency tests undertaken by the Group.